In various contexts, it may be both necessary and appropriate to perform a security review of another company. This is true for acquisitions as well as other agreements with outside companies, which are situations in which it is desirable to uncover any security related risks before finalising agreements. It is in these cases also sensible to show the expected diligence and responsibility in relation to acquiring and assessing information that may affect the final decision. In relation to corporate takeovers, CERTA can perform a security review of the company in question. The results are compiled in a Security Risk Due Diligence Report. do you want more information about due diligence? A Security Risk Due Diligence Report is intended to form part of the wider due diligence process that takes place in relation to corporate takeovers. The aim is to give the potential buyer an overview of the security situation in the target company before the potential takeover. The security review contributes to clarifying the security related risks linked to the company and the extent to which the necessary investments have been made to protect the company from these risks. The report gives the potential buyer the opportunity to evaluate whether significant security related investments will be required after the takeover and what effect that may have on the final price. As part of the Security Risk Due Diligence Report, a further background check of key individuals within the company can be performed. Similarly, an IT security review and a security compatibility assessment can be performed in order to estimate the potential costs of integrating different security systems. 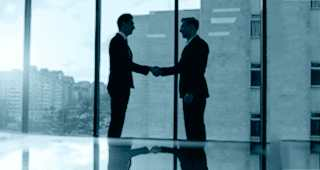 In other cases, such as the formation of partnerships, strategic alliances, commercial and franchise deals, supplier and client agreements as well as outsourcing agreements, CERTA can perform a security review of the company with which an agreement is intended. The review in such cases is performed as a Corporate Vetting. 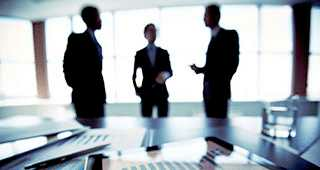 During a Corporate Vetting, CERTA collects, analyses and assesses relevant information regarding the company in question. The aim in this case is to determine whether there are conditions that can affect whether one should trust the company being vetted, and whether there are any security-related risks or concerns regarding an agreement with the company. The security review contributes to a more qualified decision-making and risk mitigation in relation to finalising significant agreements.